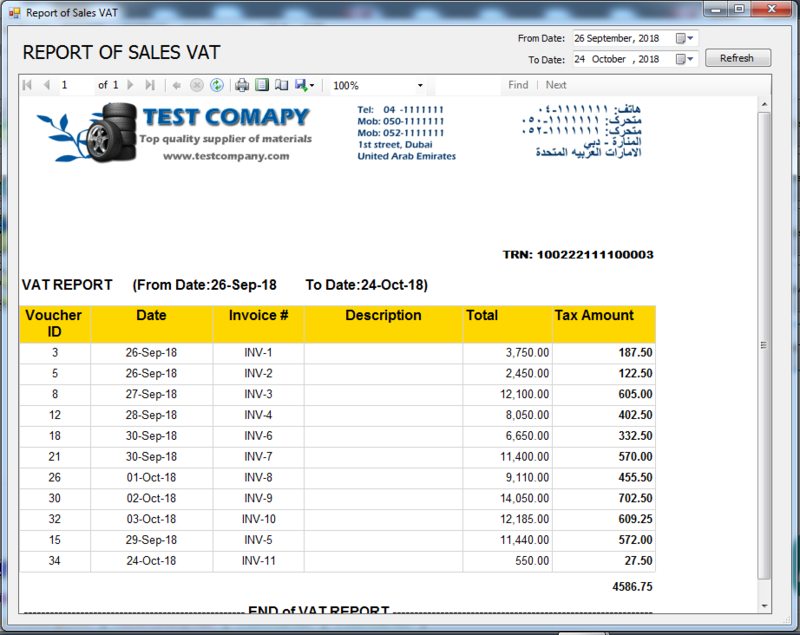 in iGreen accounting you can print report of sales VAT very very easy. this report is very clear and easy to understand. 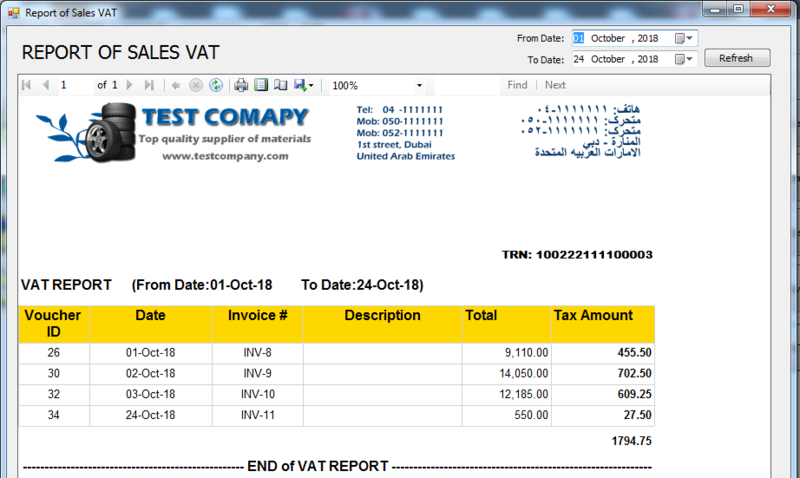 As you see in this report, all sales invoices has been shown and in the last column Tax amount of sales amount has been calculated regard to VAT percent of setting. You can also select date ranges of invoices from date to date by selecting date from upper date combo button in top of form.